Aufzeichnungen der Andachten und ausgewählter Sitzungen der 10. ÖRK-Vollversammlung. 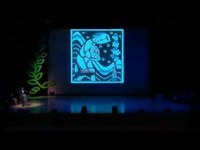 This is a recording of the Opening Plenary at the WCC 10th Assembly 2013, Busan, Republic of Korea. This video features speeches by Rev. Dr Olav Fykse Tveit, WCC general secretary, Rev. Dr Walter Altmann, moderator of the WCC Central Committee, Rev. Dr Kim Sam Whan, moderator of the Korean Host Committee of the WCC assembly and Hur Nam Sik, the mayor of Busan and greetings from The Ecumenical Patriarch Bartholomew I and Pope Francis. It also features a presentation of the Korean churches and the Korean culture. This is a recording of the first Business Plenary at the WWC 10th Assembly 2013, Busan, Republic of Korea. During the business sessions on 30 and 31 October, the consensus procedures prepared for the assembly was formally introduced. This is a recording of the evening prayer, 30 October at the WWC 10th Assembly 2013, Busan, Republic of Korea. It is an Anglican evensong. The Bible reading is from Luke 24:28-35. This is a recording of the morning prayer, 31 October at the WWC 10th Assembly 2013, Busan, Republic of Korea. This is a recording of the Theme Plenary at the WWC 10th Assembly 2013, Busan, Republic of Korea. The theme plenary set the agenda for the ensuing plenaries and ecumenical conversations, each of which is rooted in the assembly theme. Through the contributions of key personalities from the church and from society, the theme plenary offered reflections on how to interpret the current world situation, the role of the churches and the life of the WCC fellowship, in light of the prayer "God of life, lead us to justice and peace". This is a recording of the evening prayer, 31 October at the WWC 10th Assembly 2013, Busan, Republic of Korea. It is an Eastern Orthodox prayer, called "The service of Artoklasia" or "The Breaking of the bread". This is a recording of the morning prayer, 31 October at the WCC 10th Assembly 2013, Busan, Republic of Korea. The Bible reading is from Amos 5: 14-24. This is a recording of the Asia Plenary at the WWC 10th Assembly 2013, Busan, Republic of Korea. The Asia Plenary will seek to present a distinct interpretation of the theme, "God of life, lead us to justice and peace" that reflects the universal desire of all humanity for the fullness of life lived and nourished in peace that is accompanied by justice. The theme has significance for the dialogue of life beyond Christian communities. This characteristic allows for the multi-faith experiences and diverse wisdoms of Asia to inform the interpretation of the theme, lending it new perspectives and content. This is a recording of the evening prayer, 1 November at the WWC 10th Assembly 2013, Busan, Republic of Korea. It is held by Protestant Church Women United, the Bible reading is from Amos 5:14–15; 21–24 and the sermon is held by Rev. Kim, Soon Young, South Korea. This is a recording of the morning prayer, 31 October at the WWC 10th Assembly 2013, Busan, Republic of Korea. The Bible reading is from Acts 8: 27b–39. This is a recording of the Mission Plenary at the WCC 10th Assembly 2013, Busan, Republic of Korea. The plenary aspires to highlight the common challenges and opportunities for mission, in light of the new global developments. It offers an action-oriented reflection based on the new WCC mission statement, Together towards Life: Mission and Evangelism in Changing Landscapes, so as to enhance ecumenical cooperation on future mission work, addressing churches and ecumenical partners to commit anew to the call for common witness. This is a recording of the evening prayer, 4 November at the WWC 10th Assembly 2013, Busan, Republic of Korea. It is a pentecostal prayer, held by The Assemblies of God of Korea. The Bible reading is from Acts 19:1-7 and the sermon is held by Rev. Dr. Younghoon Lee, who is the Senior Pastor of Yoido Full Gospel Church in Seoul. This is a recording of the morning prayer, 5 November at the WWC 10th Assembly 2013, Busan, Republic of Korea. The Bible reading is from Acts 2: 1-13. This is a recording of the Mission Plenary at the WWC 10th Assembly 2013, Busan, Republic of Korea. The unity plenary will focus on our vision of unity and our journey towards that vision in the fellowship of the World Council of Churches. It is a plenary grounded in a prayerful, reflective environment, in which participants are invited to consider ideas about unity and the spiritual dimension of this journey. This is a recording of the evening prayer, 5 November at the WWC 10th Assembly 2013, Busan, Republic of Korea. It is prepared by the Catholic Church. The Bible reading is from Acts 2:1-13. This is a recording of the morning prayer, 6 November at the WWC 10th Assembly 2013, Busan, Republic of Korea. The Bible reading is from 1 Kings 21:1. This is a recording of the evening prayer, 6 November at the WWC 10th Assembly 2013, Busan, Republic of Korea. This evening, the prayer had the title "Prayer with Korean churches" and was a longer service together with many local Korean congregations. This is a recording of the morning prayer, 7 November at the WWC 10th Assembly 2013, Busan, Republic of Korea. The Bible reading is from John 14:27-31.